Store News: We got a window face-lift! 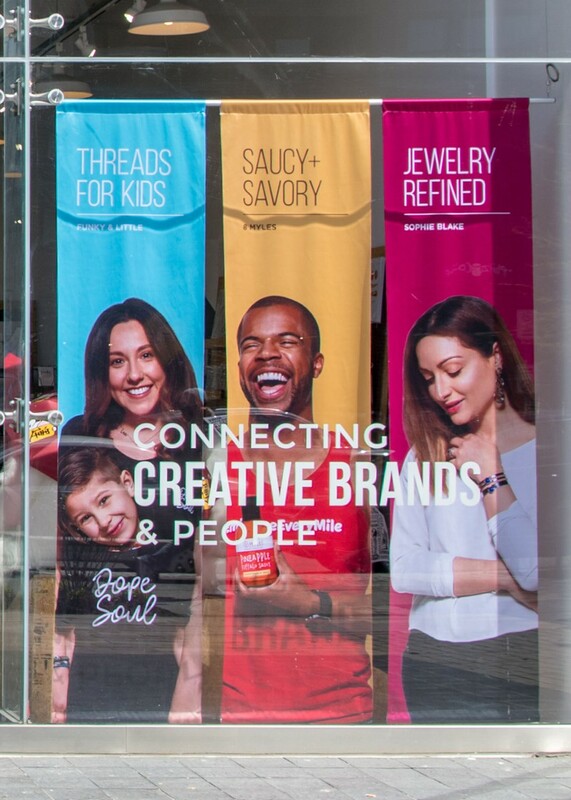 Have you seen our new window banners yet? Conceptualized, designed, and produced by local designer, Milagros Arrisueno & photographed by the talented Luis Aragon our goal was to highlight six brands that we currently carry and support at our shop, who exemplifies the steadfast mentality. We couldn't be more happy with how they turned out, and thank our team - Handmade habitat, winthrop clothing co., kelly towles, funky & little, 8 myles, and sophie blake - for such a great collaboration! Come by the shop & check them out!